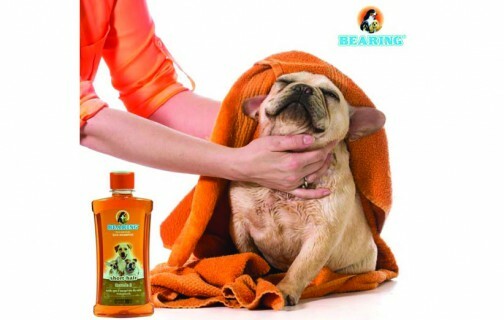 It helps and absorbs dirty and smelly and bacteria away from the fur and skin. Dry shampoo is ideal for dogs, especially when baths are not possible: for example vaccinated pets. 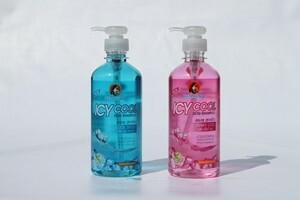 No irritation and pleasant fresh scent. 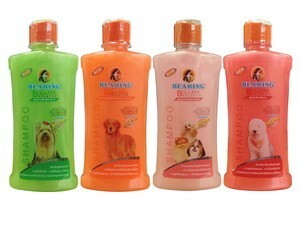 Hair and skin treatment Shampoo Dog is developed by BIO TECHNOLOGY selecting the nourishment of natural extracts of Aloe Vera, Pro Vitamin B5, Chamomile. it's gentles and mild to pets skin. Conditioning Shampoo enriches Pro Vitamin B5, it helps nourish hair to become healthy, hairy, soft, smooth and add volume, solves and prevents for hassle-free brushing, and easy grooming completely. 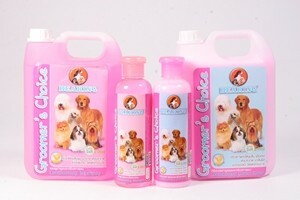 Soothe and condition pet's skin for all breeds, non allergic, fresh scent and resulting in a longer lasting. 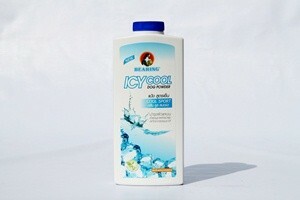 First Icy Cool Shampoo in the world, A cooling formula is developed for dog in Shampoo, Good for summer and hot days! smell good too! 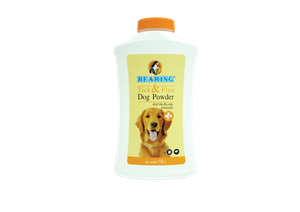 BEARING, tick & flea dog powder for tick & flea killing. 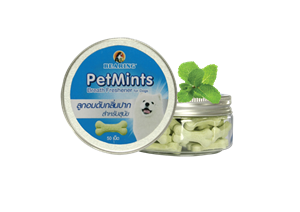 To sprinkle on dog, it helps fur cleaning, oiliness deducing, pleasant scent by innovative production and safety for pets. 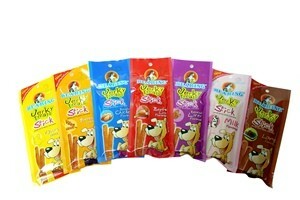 First Icy Cool Powder in the world, A cooling formula is developed for dog in powder, Good for summer and hot days! smell good too! 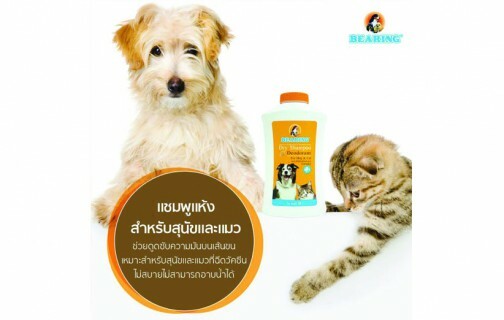 Spraying on dogs, protect and remove tick and flea, sweet smell and harmless. 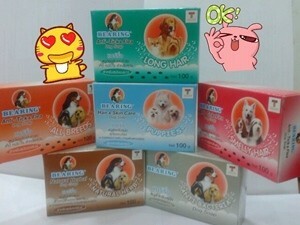 Spray for maintain hair has ingredient of Pro Vitamin B5, supporting hair and skin of pets are moisture. 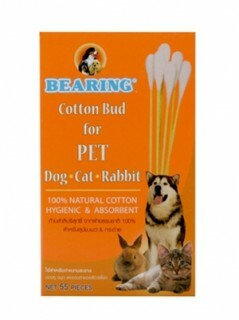 Eliminates any bad smells odor from pets; for example pets' odor, pet's odor or pet's urine and feces. 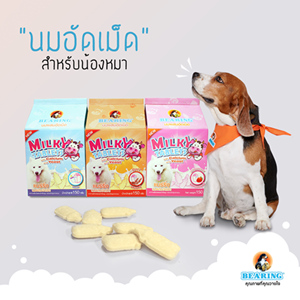 Special extract "ODOR-X" works on degradating bad smell odor and removing pets' odor. Deodorizes pet's cages smell or other stinky smell areas, shoes and garbage can. Biodegrading microbe and bacteria which caused by bad smell. Preventing an undesirable pets' behavior, peeing to wheels or pets' pooping. 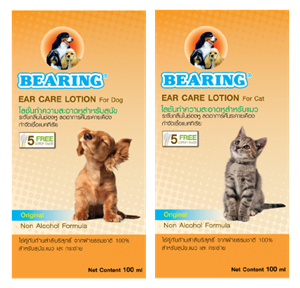 Anti-bacteria and cut down on odor in pet's ear. It cleans dirt out of ear canal. 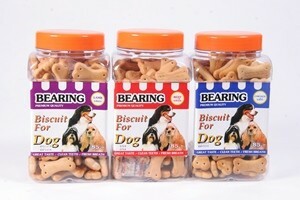 Fragrance, produced form natural extract and safety for pets. 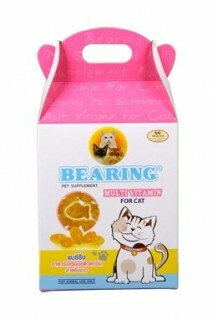 Intensive supplement Vitamins for cat, support overall health and wellness. It helps nourish skin and hair healthy, shiny and bright eyes. 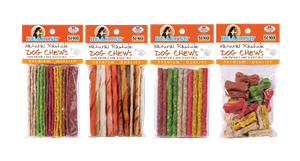 It helps clean teeth and freshen breath, cleaning plaque off dog teeth, and prize for your beloved dog. 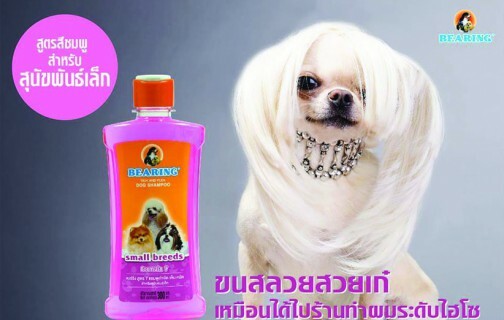 Protects and highly effective tick and flea killing. Clean and rinse easily, no irritation. 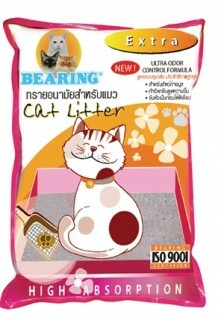 For pet's feces, eliminates odor & absorbs humidity and excellently clumps, non-spreading. 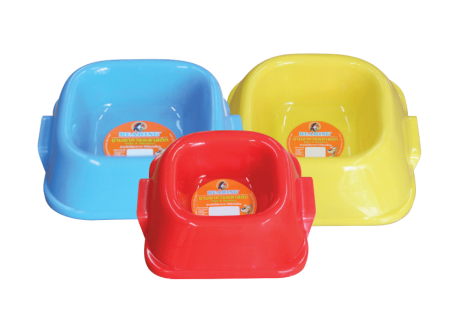 Clean sand from natural, for small pets such as any breed of rats and rabbits. 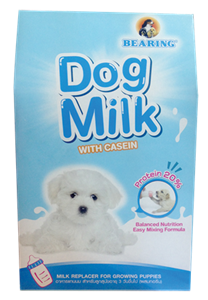 BEARING Dog Milk With Casein 300 g. Immunitazion and protein helps for growing puppies. 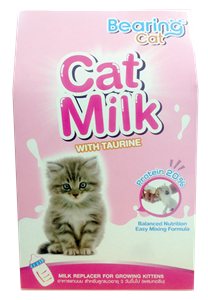 BEARING CAT CAT MILK WITH TAURINE 300 G. Immunitazion and protein helps for growing kittens. 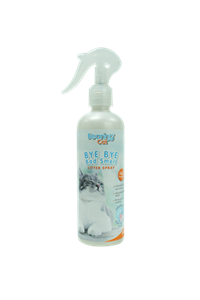 BEARING CAT BYE BYE BED SMELL LITTER SPRAY is a odor neutralizer that has been researched and developed especially for pets. 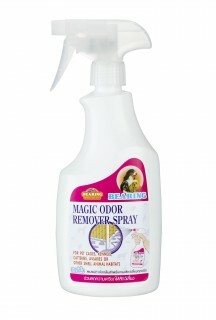 it is an effective spray that can eliminate bad smell caused by pets. using a special substance called ODOR-X that is exclusively designed to immediately trap bad odor and SILVER NANO that dissolves bad smell and foul smell.